Proudly providing quality veterinary care since 1954. We offer a wide variety of veterinary services to our patients. Learn more about us. Get to know the doctors and staff at Burnaby Veterinary Hospital. We have a dedicated team of professionals who take the care of your furry family member seriously. We offer a wide range of services including medical, surgical, wellness and preventive health care needs for your pets so they live healthy, happy lives. 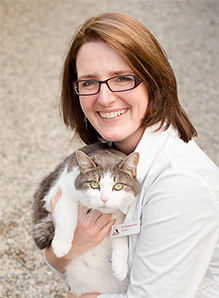 On behalf of Burnaby Veterinary Hospital and the BC SPCA, we would like to congratulate Dr. Claudia Richter on her exciting new journey, as she will be leaving her position with us at Burnaby Veterinary Hospital to pursue her residency in Veterinary Behavioural Medicine. We wish Dr. Claudia Richter the best of luck as she begins her new expedition towards improving the behavioural health of pets all over the lower mainland!